Track your health with the Nokia Steel Smartwatch. The Nokia Steel automatically detects when you’re asleep and delivers a complete picture of your nights and naps: View deep and light sleep, wake ups, and sleep duration. Activity tracking: steps, distance, swim (water resistant to 5 ATM), running and calories burned. Activity tracking helps you move more, feel better, and sleep better — but only if the tracker works with your life. Nokia Steel lets you run, walk, swim, or dance the night away without your phone. 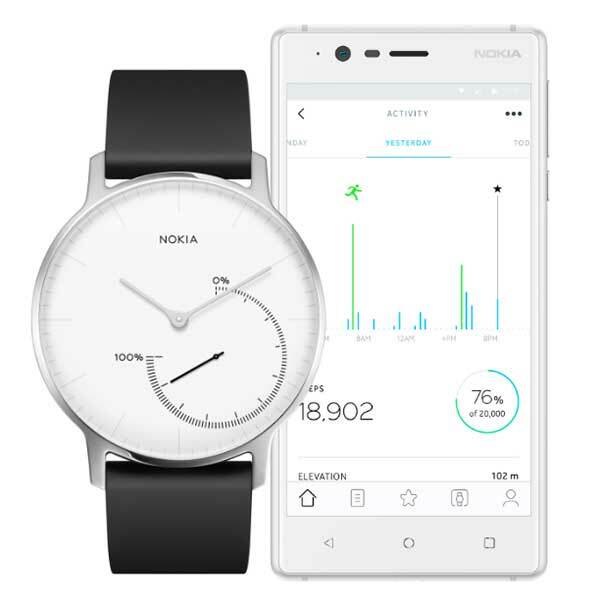 There’s no charging and no button to press — Nokia Steel automatically tracks everything and syncs to the free Health Mate app to give you in-depth metrics, personal coaching and more.